Jessie L. Weaver, 91, Albany, died Tuesday November 13, 2018 at Albany Health Care & Rehabilitation Center following an extended illness. Born in Greene County, Indiana on August 21, 1927, she was the daughter of Lowery & Etha N. (Alexander) Millick. Jessie grew up in Greene County and was a graduate of Linton Stockton High School in 1945. Besides Albany, she lived in Ft. Wayne and Bloomfield before moving to Muncie 2003. Jessie was a member of Town Acres Church of Christ, Muncie, and Summerville Church of Christ, Linton. In earlier years she volunteered at Ft. Wayne Allen County School for Trainable Children and at Glennburn Nursing Home in Linton. 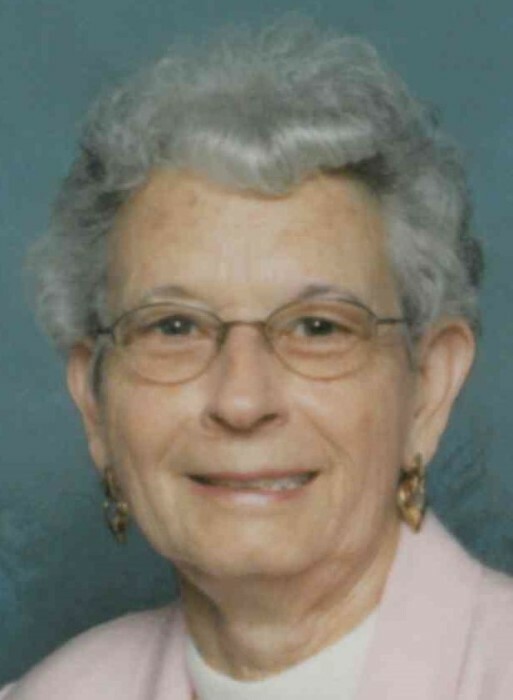 She was a homemaker and at one time was a clerk typist for Farm Security Administration in Vincennes. Survivors include her daughter: Gloria Good, Muncie; two grandchildren: Scott Hollowell (wife: Tina), Albany, and Marc Hollowell (wife: Ena), Gaston; three great-grandchildren: Katelyn, SiAira, and Traceston; several nieces & nephews, and Dustin Miller who was like a grandson. She is preceded in death by her husband of fifty-eight years, Charles J. Weaver, who died in 2004; also deceased are six brothers and three sisters. Services will be 10 a.m. Friday, November 16, 2018 at Meacham Funeral Service with visiting hours from 9 until 10 a.m. Graveside rites will follow at 3 p.m. on Friday at Chambersville Cemetery, Spencer, Indiana. Memorials may be sent to Town Acres Church of Christ, 2411 E Riggin Rd, Muncie, IN 47303.